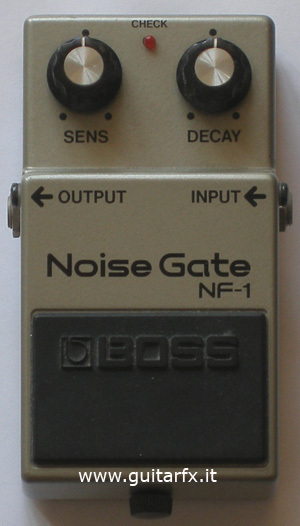 This is the successor to the NF-1 Noise Gate and has been sold since 1987. 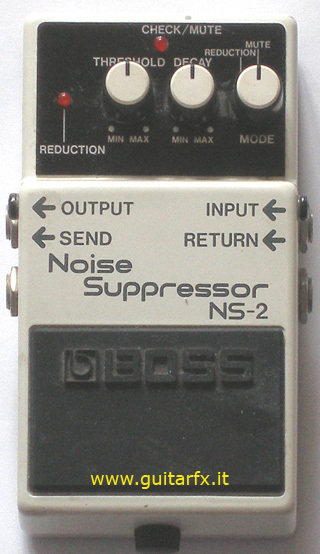 There are 2 controls “Threshold” and “Decay” and a Reduction/Mute switch: the controls have the same functions as “Sens” and “Decay” on the NF-1. The first one sets the level for the circuit to start working, the second sets the time needed to start after last note. 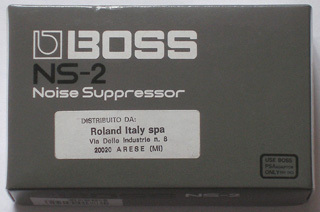 The switch is used to select between two modes: in “Reduction” mode the expander circuit works when the music signal goes under the threshold. In “Mute” mode the noise reduction is always on and when the signal goes under the threshold there is a complete cut-off. Two important additions are a LED showing if noise reduction or mute is on, depending on mode, and a couple of send / return jacks. 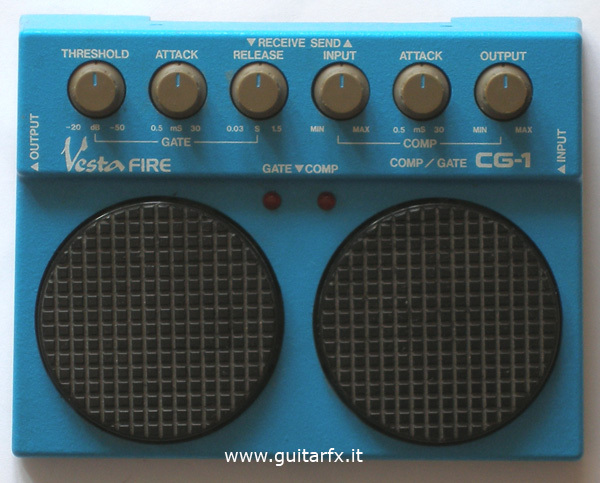 Last but not least, there is a DC out: with a power supply and a cable you can use it to power other effects.